Soundtracks are an integral part of the gaming experience that can significantly boost the level of immersion and overall enjoyment of a title. Unfortunately, games that nail the musical score are few and far between. Not all developers have the resources to pour into a quality soundtrack and in the rare instance that a game ships with a great track listing, it’s likely that you’ll simply get tired of hearing the same songs time and again. At that point, your options are to either put up with the soundtrack, mute it or bring your own tunes to the party. If the latter sounds most appealing (no pun intended) and you happen to be an Xbox gamer, Microsoft has some great news for you. On Tuesday, it was announced that Spotify is now available on Xbox One in 34 markets around the globe. The integration will allow players to soundtrack their own gaming sessions for a more personalized experience. Spotify launched on Sony’s PS3 and PS4 consoles more than two years ago. To get started, simply download the Spotify app from the Xbox Store. Those new to Spotify may want to check out the pre-curated gaming playlists in the “Gaming” hub while existing users will likely queue up tracks previously saved. Both the ad-supported (free) and premium (paid) tiers will be accessible through the console. 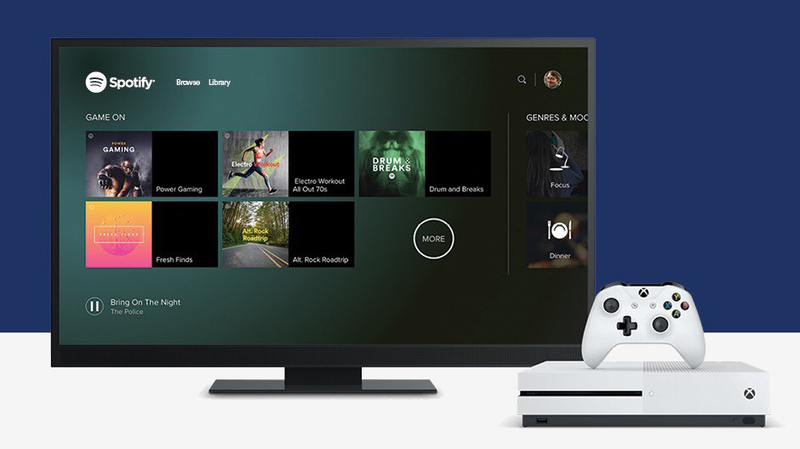 You can control Spotify using the Xbox One controller or through a mobile device via Spotify Connect.